All lenses can be broadly sub-divided into two major categories – primes and zooms. 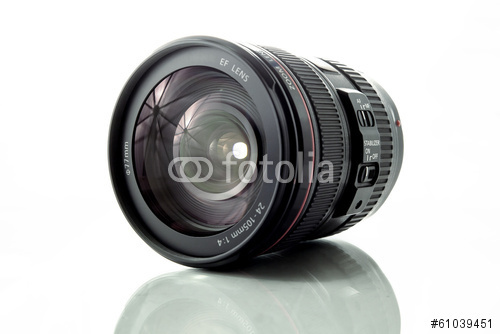 Prime lenses are those which have a single focal length (focal range refers to the zooming range). You will find these lenses marked with the acronym 50mm or 85mm or even 200mm. Zooms on the other hand have a variable focal length. You can switch between its focal length ranges by turning the zoom ring. 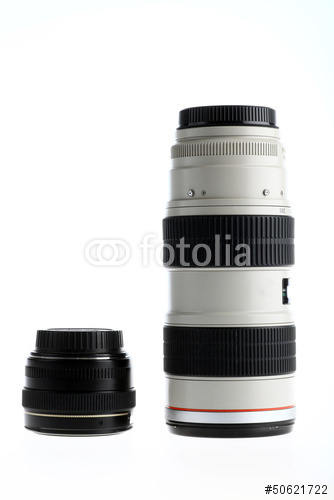 Such lenses would be marked as such 18-55mm, 70-300mm or 18-200mm. For obvious reasons prime lenses don’t have a zoom ring on them. You will hear a lot of good things about the image quality of prime lenses. Prime lenses tend to have less moving parts inside and less complicated mechanism resulting in a higher quality of images. There is no zoom ring, which means there is no zooming ring. Manufacturers can thus focus their energy in making the quality of the images tack sharp. You are likely to notice a significant drop in quality for wide angle zoom lenses at the widest focal length. Wide angle lenses suffer from what is known as barrel distortion. Images are skewed towards the corners and the center appears bloated. Vertical lines appear curved. Wide zooms suffer from this problem more than wide primes. Longer focal length lenses, on the other hand, suffer from pincushion distortion. Here again zooms suffer more compared to primes. As a matter of fact prime telephoto lenses such as 135mm f/2 D made by Nikon or the 400mm primes made by both Nikon and Canon are widely acclaimed to be the best in the business. Since prime lenses do not have a lot of moving parts inside, their overall bulk and weight tend to be less than zooms. There are, however, some exceptions. Some fixed focal length lenses like the Nikon 135mm f/2 D mentioned above tend to be heavier than the comparable zoom lenses. Just to make my point here, the prime lens mentioned above weighs around 800 grams and the comparable Nikkor 18-140mm f/3.5-5.6 G ED zoom lens weighs only 490 grams. And this is primarily due to the lens construction. Aimed at professional photographers thus includes metal in its construction to resist heavy usage unlike the plastic material that characterizes the entry level lenses. Primes have a faster maximum aperture (e.g. 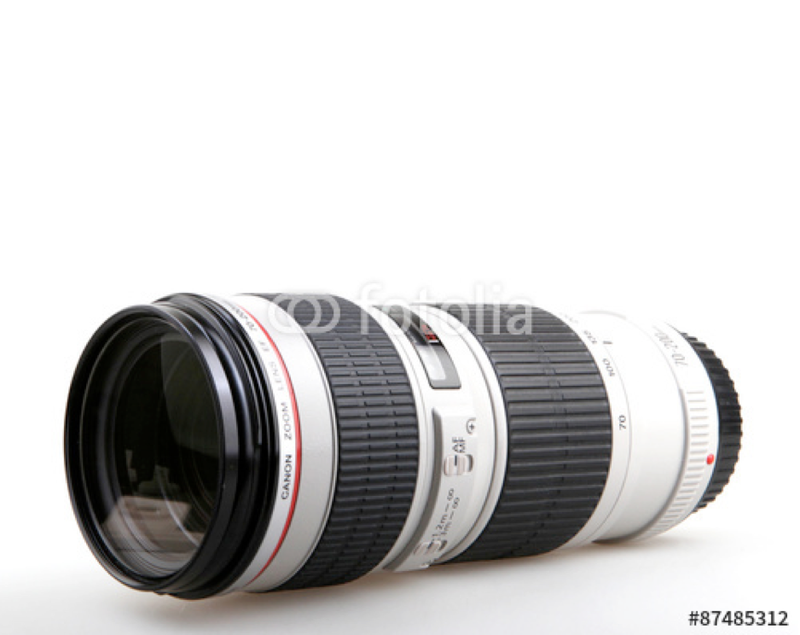 f1.4, f2.8, f4…) compared to zoom lenses of the same focal length range. Let’s say we compare an 18-55mm kit lens with a 50mm prime. The kit lens has a maximum aperture range of f/3.5 – 5.6. The prime, on the other hand, depending on the brand and the version, will have at least f/1.8 maximum aperture. In low light situations that extra stop or two of light can be extremely handy. Zoom lenses like the one I mentioned above would only open up to its widest aperture (f3.5 in this case) when at its shortest focal length. When you zoom in, maximum aperture drops down to f/5.6. Prime lenses can be cheaper than zoom lenses. This is a significant advantage for amateur photographers. Especially when you consider that the image quality of these lens are top notch too. With Prime lenses the most obvious disadvantage is the lack of zooming ability. If you need to zoom you will have to do that using your feet. Plus, for a single focal length range you will need to buy at least two prime lenses. You will also have to change lenses quite a lot when shooting. As you would come to expect, many of the disadvantages of prime lenses becomes advantages for zooms. Let’s first start with the convenience factor. The fact that a single zoom lens can often cover the focal length for two or even three primes, it gives you an incredible advantage when shooting. For travel photography when you are on vacation, you can carry a single lens to cover everything you need. This means you can stay within the international carry-on baggage limit and still packing your favorite photography gear. And you still have room for your other indulgences. Weight is a factor that works against zoom lenses. But not always as has been described above already. Image quality is another factor. Then again there are plenty of good quality zoom less which produce excellent images. The Canon 200-400mm lens is one of the best in its class and is frequently used by bird, wildlife and sports photographers. Over all the debate prime vs zooms is more dependent on personal preference, budget and style of shooting. What one photographer prefers may not be the natural choice for another. Wide angle lenses, have often been referred to as the landscape photographer’s lens. There are a number of reasons for that compliment. Landscape photography requires that your lens offers a wide angle of view. It also requires greater depth of field (DOF) and a sharper image quality. All of these are native to wide angle lenses. But the usability of the very popular wide angle lens goes much beyond landscape photography. In this article we shall discuss the many uses of such a lens, including shooting landscape photos. But first what is a wide angle lens? Technically, any lens that has a focal length (zoom vs prime) of less than 50mm is considered a wide angle. A 50mm lens is widely considered to be a standard lens because it gives the same perspective as the human eye. There is some debate in this. Some photographers say it is 40mm, others put the 42mm as the standard view. Anyways, serious wide angle starts at 35mm and wider. Anything around or under 16mm falls in the ultra wide-angle category. I have already discussed in detail about prime and zoom lenses in another article (zoom vs prime). Prime lenses are designed with focus on optical performance. Zoom lenses are more convenient because they allow you to switch focal length and therefore angle of view, just by a turn of the zoom ring. This comes useful when you’re in a situation with limited space to physically move. However, these lenses can sometime cut corners on optical performance slightly lowering its quality compared to primes. Having said that there are a number of notable exceptions. The optically superior 24-70mm f2.8 (made by all lens manufacturers) is a case in point. Wide angle lenses are available in both prime and zoom varieties. They both have their pros and cons. You can read more about prime vs zoom lenses here. Personally, when it comes to wide angle lenses, I prefer the zoom variety. This is of course when I am not shooting with the 35mm prime. The 35mm prime is a journalist’s choice – sharp, lightning quick, lightweight and cheap. Everything that I expect from a wide angle. At the end of the day there is no one lens that will suit all photographers or for that matter all situations. The wide angle lens that you end up shooting with will depend on what you are shooting, your pocket and of course your vision. The biggest mistake that a landscape or architecture photographer does when shooting with a wide angle lens is they forget to put something in the foreground. Placing something in the foreground is not only for complying with the rule of thirds, but also to provide a sense of scale in the photo. Wide angles tend to make distant objects from your lens appear smaller than they really are. Let’s say you are shooting Machu Pichu in Peru from the opposite mountain. The picture is grand, however, with absolutely nothing to refer to in the picture the viewer has no way to sense the scale of the place. Placing a person in your immediate foreground, say turned away from the camera and shooting over his shoulder can immediately give perspective and scale to the image. 2. Get close! Get close! Get closer! You will hear photographers who shoot with wide angle lenses advice this to you all the time. Get close. But why? This is because wide angle lenses tend to push everything back. That’s the nature of these lenses. Unless you step in close your subject will become a tiny spec in the vast emptiness. The other advantage of getting close is so that you get to fill the frame with the subject you are photographing. Filling the frame is a much better way of composing your shots rather then leaving vast open spaces. 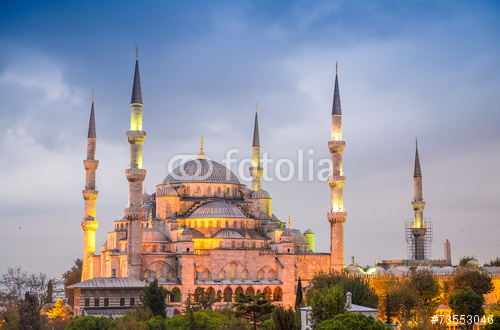 Say, you are photographing the Blue Mosque with a 14-24mm ultra-wide angle lens. Even though the mosque is pretty big, you will find empty spaces around it when looking through the viewfinder. You have to get very close to the actual building to be able to fill the frame. Certain golden rules of photography like leading lines, rule of thirds, point of interest, lines and diagonals, patterns etc. work super great when working with wide angle lenses. Landscape photographer prefer working from a low angle, keeping a subject in the foreground and a point of interest as already been discussed above. Wide angle lenses most often are used by photojournalists and street photographers. This is of course apart from landscape and architecture photographers. A very popular lens with the first two genres is the 35mm prime. Quite often it is pitted against the 50mm, which is yet another wonderful lens to shoot with (though not a wide angle lens technically). Landscape photographers prefer the slightly wider perspective such as the above mentioned 14-24mm lens. This lens is very sharp. Wide angle lenses create better depth of field when compared to tele lenses. Architecture photographers also prefer the wide angle lenses because it allows them to include a close-up element in the foreground making it more visually balanced. So which wide angle lens are you using? And why? Share your thoughts!